Get Rid of Bugs Like Ants, Roaches, Mosquitoes and Other Pests Today! Pests have long been a threat to the quality of life we all enjoy with their ability to spread bacteria, transmit diseases and cause significant property damage. Biting, stinging and chewing pests like roaches, ants, mosquitoes and fleas are much more than a nuisance, and it is important to fully understand the risks associated with any potential pest problem. Healthy Home’s comprehensive integrated pest management services will protect your home through preventive pest control and extermination, giving you a pest-free environment inside and out. Our pest control service gives you peace-of-mind knowing you are protecting your family and your property in the most effective and environmentally responsible manner available today. This is a quarterly program. On the initial service, we pinpoint indoor pest nesting areas and treat cracks, crevices and wall voids in your home or place of business. The goal is to strategically eliminate pest problems at their source. We will then recommend if any other changes may be necessary to make your home less inviting. No matter how big or small, no one wants to see bugs in the house. By spraying around your entire home, we will create a barrier keeping out insects. Including ants, spiders, mosquitos, fleas, ticks, stink bugs and more! 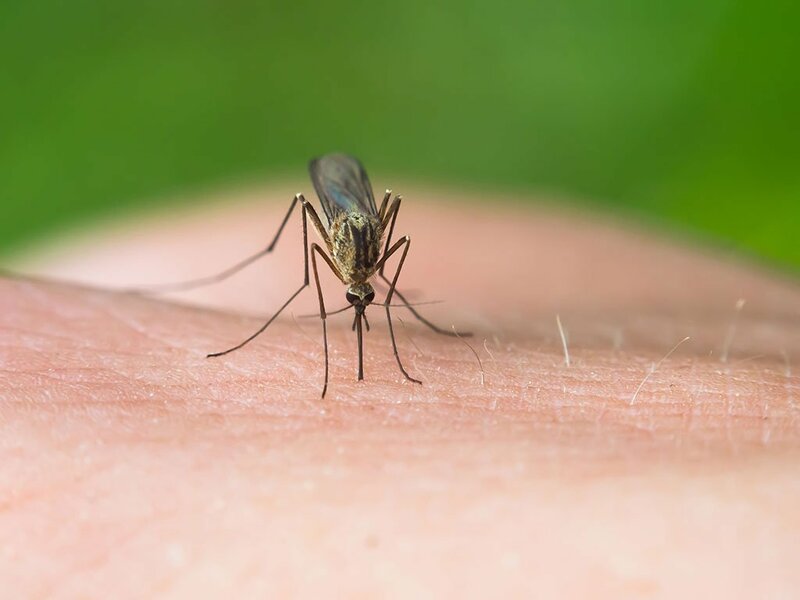 No one likes stepping out of their home only to get mosquito bites. Don’t get trapped in the house this summer, allow us to remove the hazardous and annoying insects from your home and yard. All of our products are applied in a manner that is safe for children and pets. Our service is guaranteed and if you are ever dissatisfied with it, you are under no obligation to continue. Ask about our 100% satisfaction guarantee and free service calls! The Tech that came to our home was very polite and professional and did a thorough job on the inside and out I would recommend this company to anyone needing this type of service I give them a 10. Thank you so much I have a bug phobia. Great customer service. Friendly staff is the key. Hopefully the bug problem is gone. I WILL RECOMMEND THEM TO ALL FAMILY, Friends and coworkers. Thanks R!